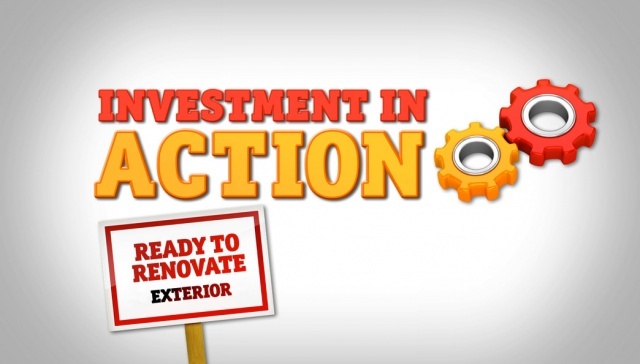 Investment in Action: See how Smart Property Investment transformed the yard of this Cambridge Park property with the help of a cost effective renovation. The entire yard and front of the house, including carport, driveway, front and back lawn as well as gardens were demolished and replaced. The front of the house received a new porch and entrance to the home. The roof and awnings were repainted, with new guttering installed. The side and rear fence was also removed and replaced with a gate installed to add extra security and comfort. All up the total of this extensive renovation was $7,000. Smart Property Investment would like to thank all our sponsors for their support and contribution to the Investment in Action and Open House project.